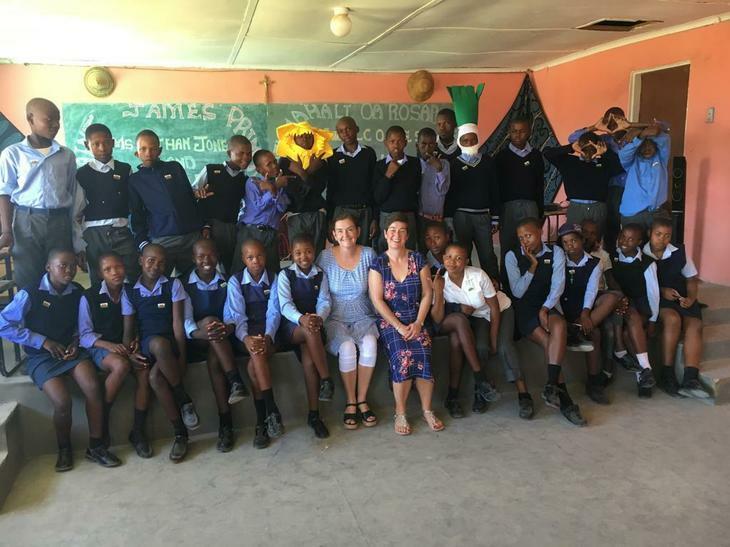 During February half term Mrs Bounds and Mrs Jones visited our link school in Lesotho and taught lessons to the children there teaching them about Wales and St. James. The welcome they received was out of this world! 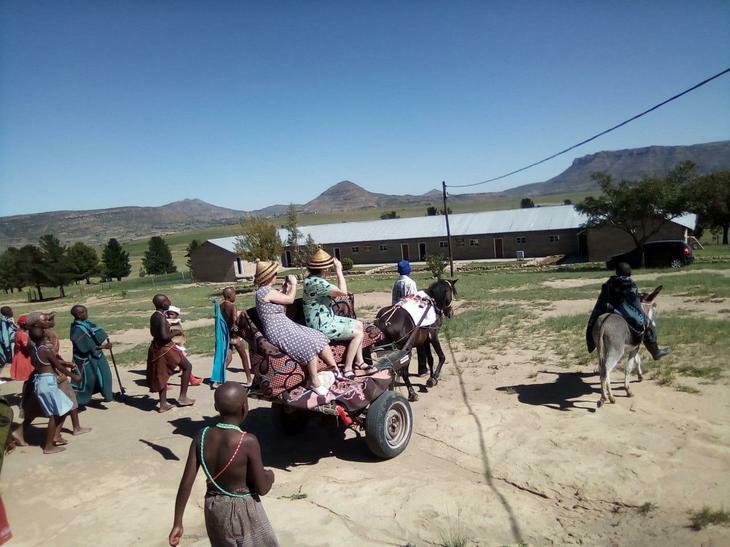 They were taken to the school on horse and cart with the whole school community following them wearing their traditional costumes. This was followed by a special assembly where children, staff, parents and Governors sang and danced to welcome them. Over the next few days Mrs Bounds and Mrs Jones taught each class. The pupils and staff were incredibly happy and well behaved. 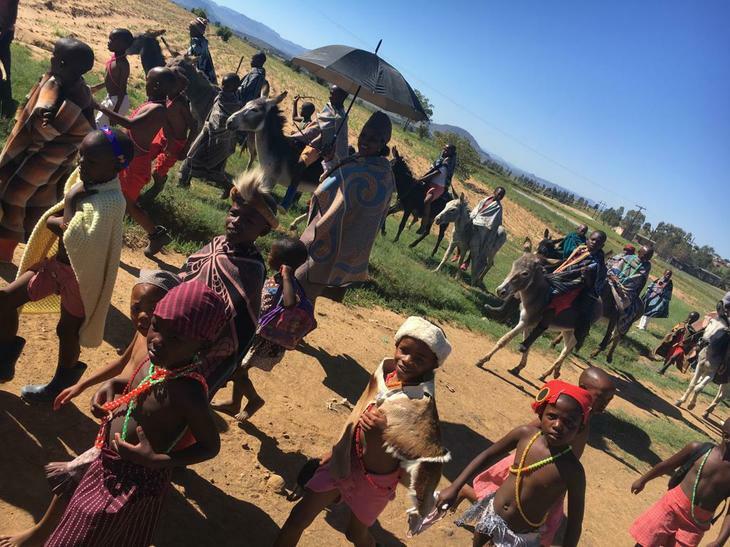 There were some challenges to overcome, mostly the lack of water and the lack of toilets. We don't realise how much we rely on water in school! At the end of the week the villagers invited Mrs Bounds and Mrs Jones to visit their homes and learn about how they live. In June the head teacher and another member of staff will be visiting us for a week to find out how we do things here in Wales. Lesotho is a small African country about the size of Wales. It is land locked by South Africa. Wales has been linked with Lesotho for 30 years and St James has been linked with Mofumahali Oa Rosari school since 2014. 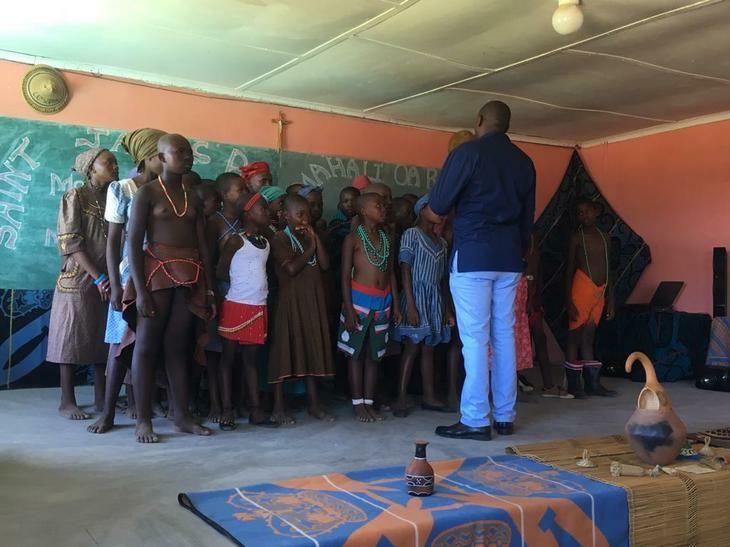 The school has 200 pupils in 8 classes ranging in age from 4 to 16.